The New Town at St. Charles is a unique, pedestrian friendly neighborhood designed around new urbanism principles. Site planning firm DPZ saw the advantages of designing the development around a series of lakes, which could both contain and stormwater runoff and provide a dramatic and active waterfront. 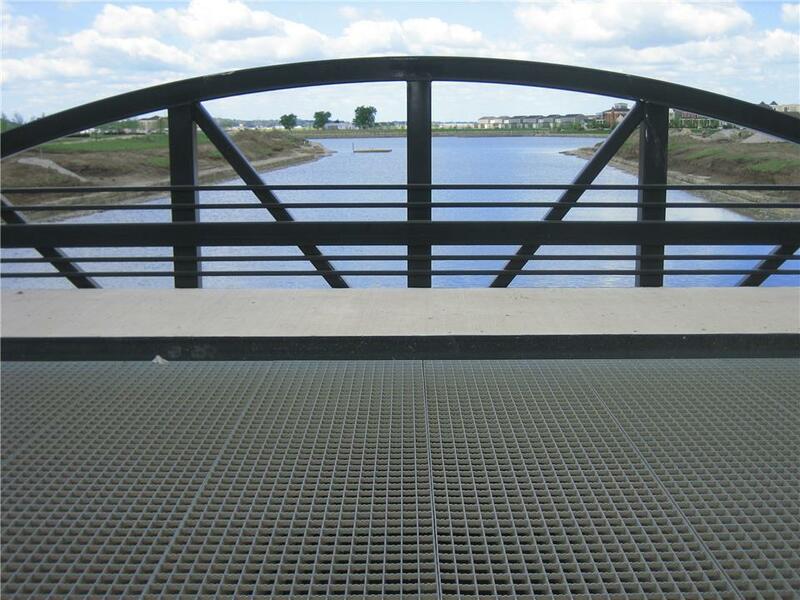 The need for pedestrian and vehicular bridges to span the waterways became clear with this design in mind. Several steel truss bridges and precast arch bridges provide pedestrians and vehicles access and connectivity throughout New Town. In June 2007, two vehicular truss bridges were added to the three existing Steadfast bridges installed in 2006. In New Town at St. Charles, beautiful views and picturesque landscaping are a central theme. A system of sidewalks, mid-block pedestrian paths, pocket parks and trails connect the neighborhoods and are planned to extend into the adjacent regional park system. New Town has already been awarded as a best-selling community and is becoming recognized as a signature Midwest development.